J's Bathtub Restoration is in the business if you want bathtub refinishing and counter top refinishing done the right way! We can make your old tub, tile, and sink look great again at a fraction of the cost of replacement. Our finish is watertight, long lasting, and easy to care for. No more getting on your knees and scrubbing with harsh cleaners! We offer reglazing, Refinishing, and Resurfacing solutions! We serve the Baton Rouge, New Orleans, Livingston Parish, St Tammany Parish and Lafayette.  J's Restoration is NOW servicing Gloster Mississippi, Woodville Mississippi and Liberty Mississippi! Our mission is so simple. People need a new and improve bathroom appliances. So we help make it happen. In fact, we perform tub refinishing and counter top resurfacing at a whole other level than other businesses. That’s because there is a science behind what we do. We provide the latest techniques with some good ol fashion elbow grease to renew our client's bathtubs, sinks, and tiles. We want you to have the bathroom you deserve! Most of our jobs take just a few hours to complete. you can set up an appointment with us from Monday through Sunday. Call us at 225-371-9565 for your free consultation!